Could You – And Should You – Get A Credit Card Loan ? HomeBlog Credit Card DebtCould You – And Should You – Get A Credit Card Loan ? Getting a credit card loan or cash advance against your credit card is just drop-dead easy. There’s no application to fill out and no credit check since you’ve already been approved by your lender – the credit card company. The way this works is that you get the money at an ATM or by cashing what’s called a “convenience” check. You the pay the money back in installments just as you would a personal loan. There may be a processing fee and your credit card provider may limit or block cash withdrawal on your credit card to the extent of your loan. The biggest negative to one of these cash advances is the interest you’ll be charged. It’s almost certain to be much higher than the interest rate you would pay on a personal loan or even on purchases made with the same card. I saw one study that interest rates on cash advances typically are 1% to 7% higher than the credit card’s standard rate on purchases. This means that if your interest rate on the credit card was 12%, you might have to pay as much as 19% on that loan or cash advance. Plus, there could be fees attached to the advance that would cause it to cost even more. Another negative to a cash advance is that you might not qualify for one. The credit card companies tend to be very wary about “high risk” customers so whether you could or couldn’t get an advance will depend on your credit worthiness. If you feel you need a loan or cash advance against your credit card, there are some things to first consider. First, could you pay back the money in just a few months? Second, is there some other way you could deal with the financial problem you’re facing? Third, do you really need whatever it is you would buy with the money? In other words, it’s best to think twice before taking out one of these loans. Is there some other way you could get the money you need by selling something? Do you have a line of credit attached to your checking account you could tap into that would have a better interest rate? Could you get a cash advance where you work? Could you borrow from your retirement fund or a relative? Any of these alternatives would likely be better and cheaper than a cash advance. 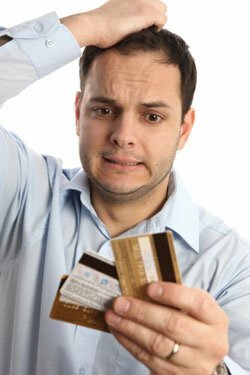 If you’re in a bind because of the debts you’ve racked up on other credit cards, there may be a better solution than “borrowing” money from one credit card to pay off another. As an example of this, Wells Fargo has a program where you could consolidate your credit card debts into a personal loan that would have a fixed interest rate for a fixed period of time.